A lonely buyer was waiting desperately for her lover to contact her. She pray hard to the amulet as I coach her to see swift and fast fierce results! She follow the instructions and soon, she see happy results! 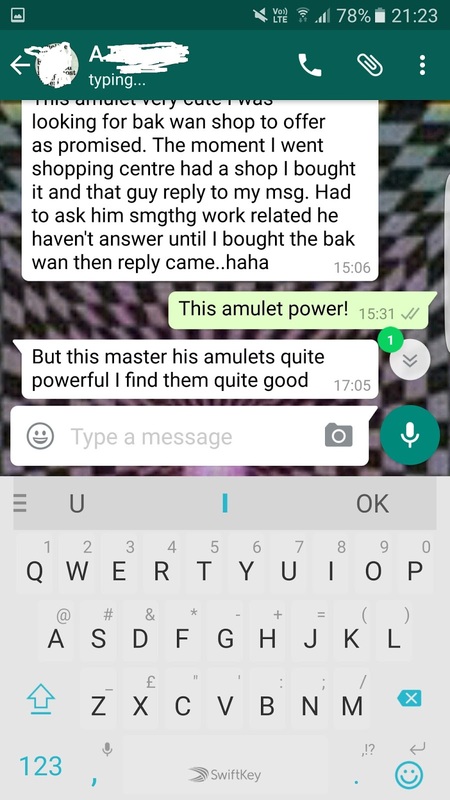 [06/01, 15:31] Nayan: This amulet power! [06/01, 17:05] Happy buyer: But this master his thai amulets quite powerful I find them quite good.